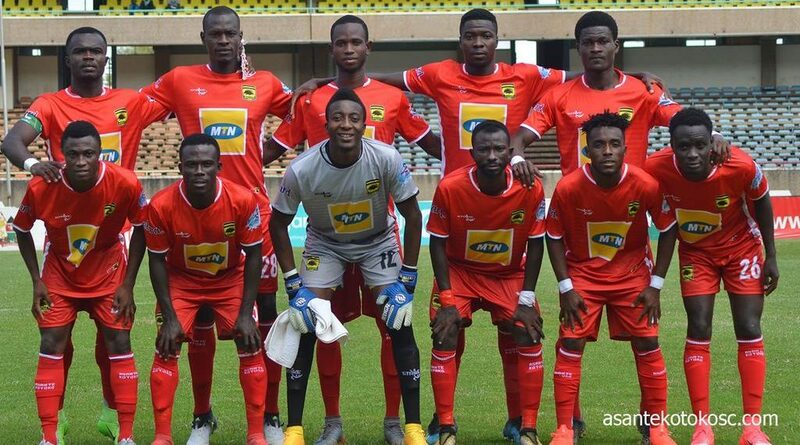 Asante Kotoko recorded their second consecutive win in the GFA Special competition with a well deserved 2-0 win over regional rivals AshantiGold SC at the Baba Yara Sports Stadium on Wednesday. The Reds, who were not convincing at the start of the game managed to hold Ashgold to a goalless draw in the first half. However, they started the second first in an impressive fashion with Emmanuel Gyamfi and Kwame Bonsu proving difficult to mark by the Miners. Abdul Fatawu opens the scoring for the Porcupine Warriors with a brilliant strike in front of the home fans. Play continued with AshantiGold gaffer replacing a left back for a striker but yet could not curtail determined Fabulous side. Fatawu scored his second before 85th minute, taking his tally to four after four matches in the NC special competition.. The nervy ending failed to save Ashgold as they succumbed to a 2-0 defeat to end their unbeaten run in the competition.